Charting your basal body temperature (BBT) daily can help you learn to detect ovulation, or lack thereof. At the root of every struggle to conceive is a problem with how the body is functioning. In approximately 30 percent of infertility patients, that problem is demonstrated by anovulation estimates Standford.edu. But what does it mean to have an anovulatory cycle, and how can you get your body back on track when anovulation is to blame for your inability to conceive? The Menstrual Phase: The duration of your period, starting with day one of bleeding. The Follicular Phase: When the lining of your uterus begins building up and follicles start maturing in preparation for ovulation. The Ovulatory Phase: When a mature egg is released from your ovary. The Luteal Phase: The days following ovulation when your body prepares for fertilization and implantation, or the start of a new cycle. Anovulatory cycles occur when that ovulatory phase, for whatever reason, fails to take place. The series of hormones necessary to produce ovulation are disrupted at some point along the line, and there is no mature egg ready for release when the time comes. Obviously, when there is no egg being released, pregnancy cannot occur for that month. Often when anovulation happens, the other phases are disrupted as well and no period will take place. This is not always the case, however. Sometimes the other phases may still continue forward, making it possible to have a monthly period even when ovulation has failed to happen. Being on the birth control pill is a perfect example of this, where the pill blocks ovulation by sending signals that low levels of estrogen are present thus telling the pituitary to not release FSH and LH which are hormones essential for ovulation. All women may experience the occasional rare month of anovulation. Periods of extreme stress, for instance, can throw the body out of whack and make it so that a month or two goes by before things return to normal. For some women, though, anovulation becomes the norm – making it nearly impossible to conceive until the body gets back on track. There are several possible causes for anovulation, and seeing a doctor may be the only way to track down the reasons why you are experiencing non-ovulatory cycles. Breastfeeding can often be to blame, as can both rapid weight gain and loss. Excessive stress can disrupt your hormone levels enough to prevent ovulation, and coming off the pill may also delay normal cycles for a few months in some cases. Women with eating disorder, pituitary or thyroid problems and various infections might experience bouts of anovulation, and polycystic ovary syndrome (PCOS) can routinely be to blame as well share Joseph B. Davis, DO, and James H Segars, MD, for the Global Library of Women’s Medicine (GLOWM). How Can I Tell if I Ovulate? Begin Charting: By taking and tracking your basal body temperature at the same time every morning, you can begin to recognize patterns which may indicate whether or not you are ovulating. Typically your temperature will rise after ovulation has occurred, usually by half a degree or more and should stay elevated for at least 11 days. Get to Know Your Body: Your body gives off a few clues as it prepares for ovulation, with your cervical mucus becoming more hospitable for traveling sperm and the position of your cervix changing as well. If you pay attention to these signs over the course of a few months, you may begin to recognize the indications of ovulation. Around your most fertile days, for instance, your cervical mucus should take on an ‘egg-white’ consistency and your cervix will feel high, soft, and more open than normal. It’s not easy to check your cervix yourself especially if you have short fingers or an average or longer than average vaginal canal. Ovulation Predictor Kits: Available in most stores next to the pregnancy tests, ovulation predictor kits can help you to pinpoint ovulation one way or another. One thing to keep in mind is that none of these options are an exact science, particularly if you are not currently ovulating. Charting and monitoring your body may prove inconclusive if that is the case, and ovulation predictor kits can sometimes provide inaccurate results – particularly for women with PCOS. If after a few months of monitoring, you still aren’t sure whether or not you have been ovulating; visit your doctor to schedule a series of blood tests throughout your cycle in order to find out once and for all. 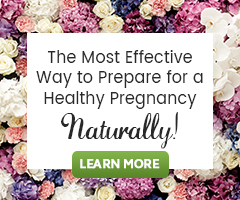 Are There Ways to Encourage Ovulation? Change Up Your Diet: Embrace the wonders of an organic, whole-foods diet, avoiding overly processed, fried or sugary foods whenever possible. Now would also be the time to give up smoking and limit alcohol and caffeine use as well. Get Moving: Regular exercise is a great way to re-calibrate your body and get it back to optimal functioning. Not only will thirty minutes a day of moderate exercise help you to maintain a healthy body weight, it will also naturally relieve stress and work to keep your blood sugar balanced – all necessary components of normal ovulatory cycles. Avoid Toxins: They are everywhere in our environment, and sometimes it is simply impossible to live clean all the time, but start making changes now wherever you can. “Ovarian disorders can be caused by a large variety of factors, such as high levels of physical activity, age, stress, smoking, and caffeine use [5-7]. In addition, exposure to chemicals such as benzene and polychlorinated biphenyls (PCBs) can affect the menstrual cycle [8,9]. There are also indications that exposure to particular pesticides may induce ovarian dysfunction,” share researchers from Radboud University Nijmegen Medical Centre, The Netherlands, in the journal Reproductive Biology and Endocrinology. Limit the plastics you use in your house and never put plastic in the microwave. Check the beauty products you use and try to choose options that are paraben free. Opt for natural cleaners over those heavy in chemicals and try to stay away from pesticide use and heavily polluted areas. Consider Herbs: There are several herbs that have been shown to help promote regular ovulation. Our Senior Herbalist, Dalene Barton-Schuster, recommends learning about 2 important herbs for ovulation; Vitex (Vitex agnus-castus) and Tribulus (Tribulus terrestris). She also encourages women with anovulatory cycles to learn more about biphasic herbal formulas that support specific phases of the menstrual cycle. Biphasic herbal formulas are a unique blend of specific herbs to help guide the body back to hormonal balance, and promote a normal menstrual cycle and regular ovulation. I am so sorry to hear of your loss! Uterine fibroids and hormonal imbalance could indeed be cause of the miscarriage and ones inability to conceive. Anovulatory cycles would not allow you to conceive naturally. If the ovaries is dead or damaged, how can it be revived? If the ovary is damaged beyond any bit of healthy function, then it isn’t likely to be revived. It will depend on the degree of damage and what caused the damage, as well as age. Your healthcare provider should be able to help you know the cause and degree of damage if you do not already know. This is very usefull information. Please tell me is it safe to use the two below mentioned herbs or even the biphasis herbs while at the same time doing Clomid, Trigger shot and Progesterone supplements in a month’s cycle? Or would they interfere with one another? We do not advise combining herbs that have an effect on hormonal balance with medications that do the same.